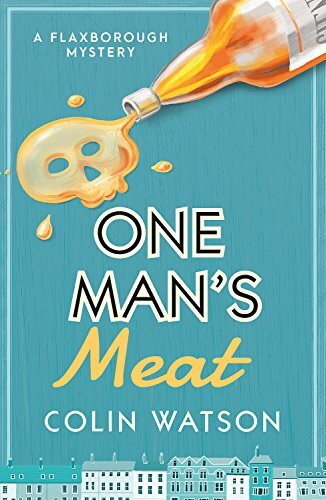 One Man’s Meat is Gone Girl 60s style! The ninth Flaxborough mystery was published in 1977 but is set in the “swinging” 60s. Motorcycle gang member Digger Tring falls from a carnival ride 100 feet to his death. Julia Harton’s husband wants a divorce to marry his mistress who is willing to play the waffle game with a tennis racket, butter and her bum. Con man Mr. Rothermer convinces Julia to use the “classic ploy of the vanished wife” to ensure she receives $20,000 in her divorce settlement. Inspector Purbright and Detective Love investigate. Highly recommended for its dry wit and great mystery. Definitely one of the best in a series that just keeps improving. 4 stars!